The XVIII Airborne Corps will welcome a new commanding general Tuesday. Lt. Gen. Joseph Anderson will relinquish command to Maj. Gen. Stephen Townsend during a ceremony at 10 a.m. on the Main Post Parade Field on Fort Bragg, North Carolina. 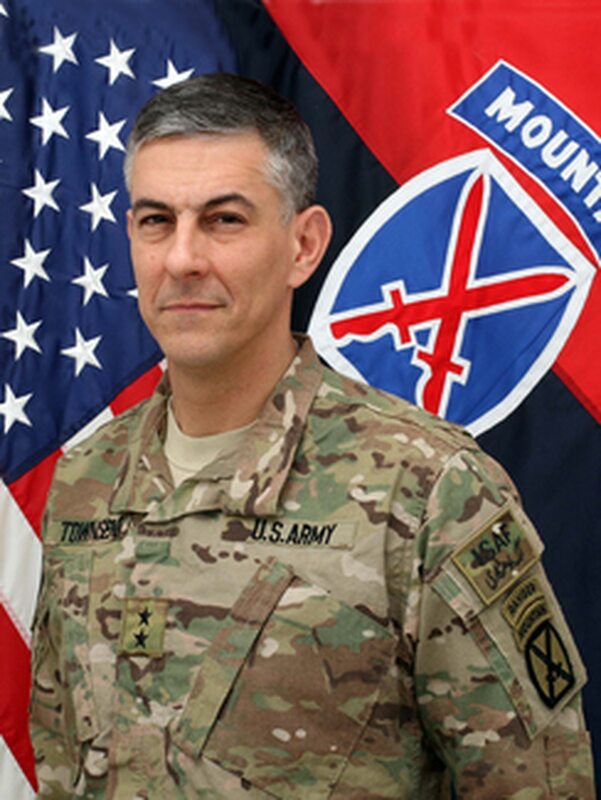 Townsend, who most recently commanded the 10th Mountain Division, will be promoted to lieutenant general in a private ceremony just before the change of command. Townsend, a 1982 graduate of North Georgia College, also has served with the 82nd Airborne Division, the 7th Infantry Division, the 75th Ranger Regiment, and the 101st Airborne Division. He deployed in support of Operation Urgent Fury in Grenada; Operation Just Cause in Panama; and Operation Uphold Democracy in Haiti. He has served multiple times in Afghanistan, including during Operation Anaconda, and commanded a Stryker brigade in combat in Iraq. Townsend's awards and decorations include the Combat Infantryman Badge (with star), the Combat Action Badge, the Expert Infantryman Badge, Master Parachutist Badge, Air Assault Badge and Ranger Tab. Anderson, who has commanded the XVIII Airborne Corps since June 2013, is moving on to be the Army's next deputy chief of staff, G-3/5/7, according to an announcement Monday from the corps. Lt. Gen. Joseph Anderson will pass command of XVIII Airborne Corps to Maj. Gen. Stephen Townsend on May 5. 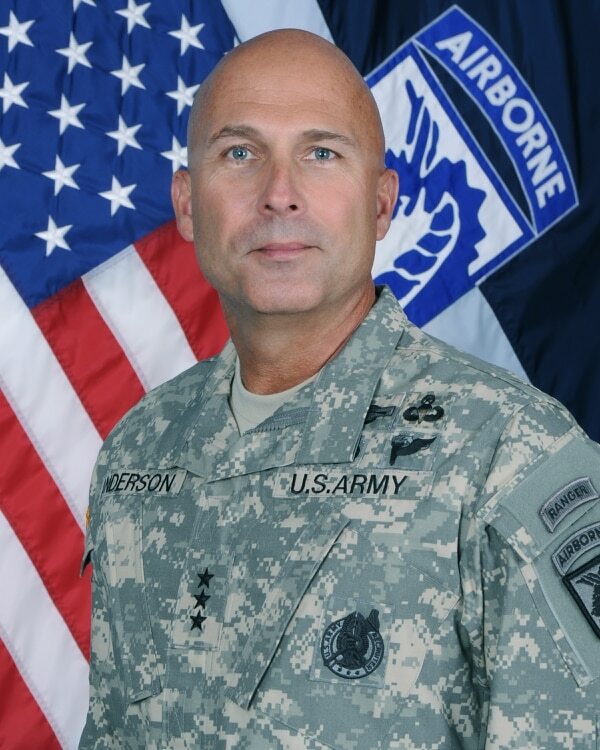 Anderson, a 1981 West Point graduate, served as commander of the International Security Assistance Force Joint Command and deputy commanding general of U.S. Forces-Afghanistan in 2014. Throughout his career, Anderson has served with the 5th Infantry Division, the 75th Ranger Regiment, the 25th Infantry Division, the 82nd Airborne Division, the 101st Airborne Division, and III Corps. He commanded the 4th Infantry Division from November 2011 to March 2013. He deployed in support of Operation Just Cause, as well as to Albania and Kosovo. Anderson later deployed three times to support Operation Iraqi Freedom. Anderson's awards and decorations include the Defense Distinguished Service Medal, Bronze Star Medal with V device, Combat Infantryman Badge (with star), Combat Action Badge, Master Parachutist Badge with Bronze Star, Pathfinder Badge, Air Assault Badge and Ranger Tab.